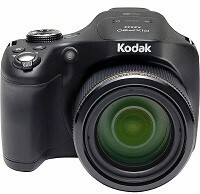 Kodak PIXPRO Astro Zoom AZ522 Digital Camera Software and Firmware download for Operating Systems. Connect your camera via USB cable to your computer. Download the zip file(AZ522.bin.zip) and extract the firmware file to your formatted SD card.Connect your camera via USB cable to your computer. Turn off the PIXPRO AZ522 camera and unplug it from the USB cable.Turn on the camera. Press the Menu button, scroll up/down to select the icon.”Press to enter”. Select the SD icon and enter the FW Version menu.”Press to enter”. , and filed under Digital Camera.